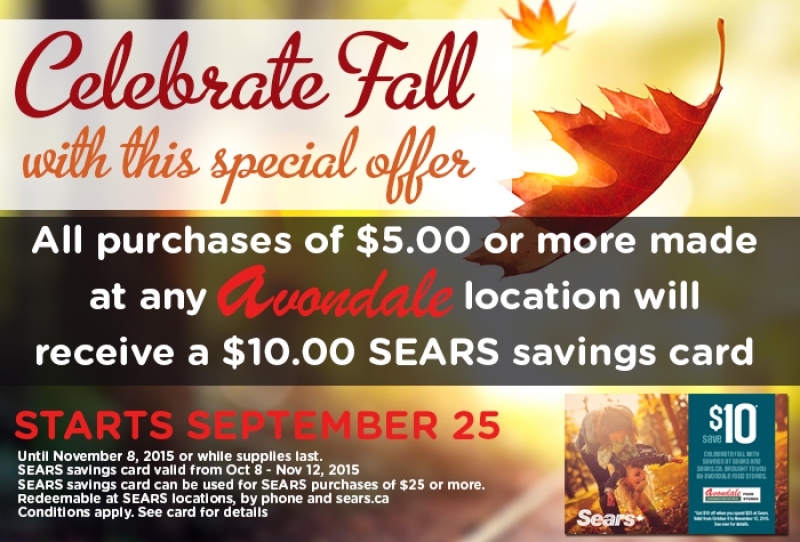 Avondale & Sears want YOU to Save! Avondale wants you to kick off fall on a good note. Right now at all Avondale Food Stores, when you spend $5 or more, you will receive a FREE $10 SEARS Savings Card! What a deal! Stop by your local Avondale store to take advantage of this great deal. *SEARS card valid from October 8 - November 12, 2015.